Jakarta Invest and One-stop Integrated Service (PMPTSP) Dept. will continue to improve its service in Jakarta.
" We are ready to meet entrepreneurs expectation regarding licensing service quality"
One of them is to respond request from Indonesian Chamber of Commerce (Kadin)'s entrepreneurs related to licensing service quality improvement. Jakarta PMPTSP Dept. Head, Edy Junaedi said his side is ready to improve its service quality thus entrepreneurs could be easier to obtain permissions and legality. "We are ready to meet entrepreneurs expectation regarding licensing service quality," he said, Saturday (10/21). He explained, through multi channel service delivery, citizen can utilize various service innovations thus licensing and non-licensing service become easier. Such as online service through pelayanan.jakarta.go.id, call center service named Tanya PTSP in 1500164, licensing shuttle service (AJIB), PTSP Goes To Mall, Mobile Service Unit (AJIB Mobil) and others. Moreover, he continued, PMPTSP Dept. has officially opened Public Service Mall (MPP). Various technology-based facilities can be accessed through those services. "All services will be integrated with services in Public Service Mall," he added. 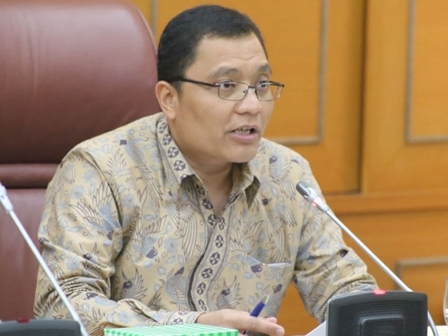 Jakarta Kadin Deputy Head, Sarman Simanjorang hopes, new governor could improve Jakarta economy growth to be better. "It can be done through service innovations," he closed.